The EU Commission has proposed that the European Border and Coast Guard Agency, known as Frontex, should have a standing corps of 10,000 operational staff, who could be deployed anywhere in the world to willing host countries. Frontex would emphasize its focus on migration management and returns, and expands its tasks to countering terrorism.The reform would increase Frontex’s operational capabilities, but decrease the role of the member states by centralizing decision-making within the Commission. A partial overlap with the Common Security and Defence Policy (CSDP) instruments, especially with civilian crisis management, could have an impact on the external action of the EU. 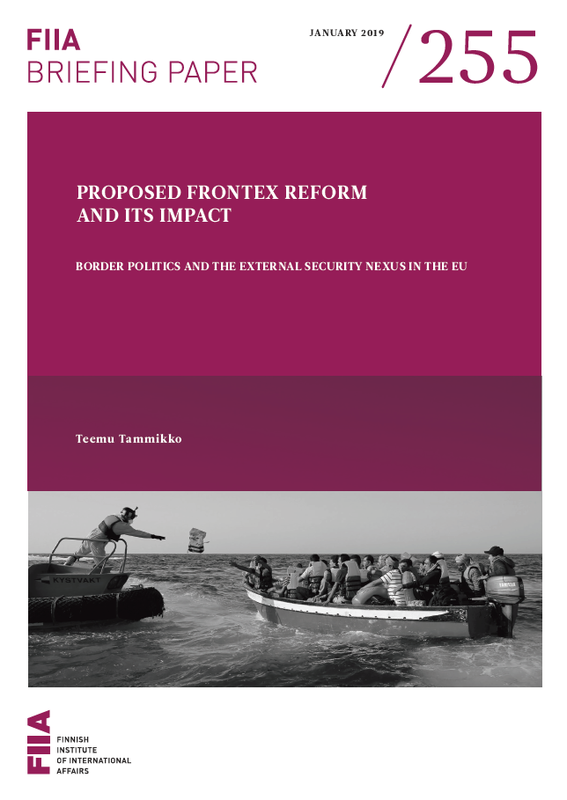 Since the member states have diverging views on how to improve border security and the role that the Council should have in the decision-making, it is likely that the proposal will face some changes before it can be accepted by the Council and the European Parliament. To this end, the planned timeframe seems unrealistic.